INSPIRING GUESTS: Ben Maguire interviews last year's Kenworth Legends in Canberra. NOT only are Kenworth trucks unique, so are the drivers behind the wheel, or the maintenance crew under the hood. That's why, each year at the ATA's Trucking Australia conference, the trucking industry comes together to recognise the incredible achievements of Australia's Kenworth Legends. 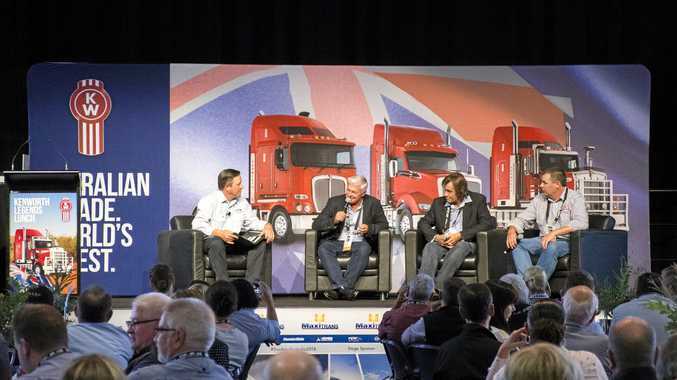 The Kenworth Legends Lunch is a conference highlight, bringing trucking stalwarts together to share their journeys, successes and hopes for the future. Like the Kenworth brand, the Kenworth Legends are people who have shown inspirations strength, perseverance and success throughout Australia's trucking industry. 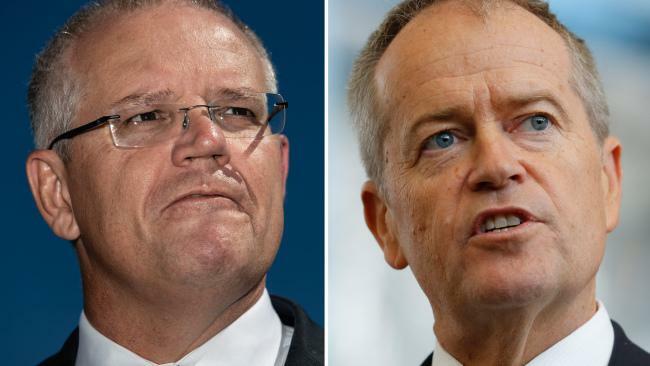 This is about acknowledging industry leaders like Phil Russell who began working for his father's trucking business as an apprentice in the workshop before taking over in 1970 at just 24 years of age. Two years later Phil bought his first Kenworth, a K125, with the business now operating more than 50 across the fleet. It's also about inspiring others to follow their dreams and take a chance, like Peter Wickham, who told us to listen to those gut instincts. "If you buy a truck and make a quid with it, just go and buy it. Don't let anyone talk you out of it,” he said. Peter's trucking career started in the 1960s. The family was growing potatoes on a small dairy farm and needed trucks to cart the produce to Brisbane. Fast forward 50 years and Wickham's Freight Lines is now home to 120 Kenworths that cart goods all across Australia. Although it's not always easy, legends like Phil and Peter have persevered in times of struggle and triumphed in times of success. They've seen how much the industry has changed over the years and have passed their wisdom along to family members and industry peers. The Legends have put in the hard yards, building their businesses from the ground up. For them trucking is not just a job. It's a way of life. The Legends are humble, inspiring pioneers who have led the way and promoted the true Kenworth spirit. Each year, the ATA hosts the Kenworth Legends Luncheon. We talk about obstacles to success, the sacrifices, the rewards, the great friends they've made along the way and what their hopes are for the future. These are great Australian stories of pioneering people; people who still live amongst us today. Let's gather in Perth and honour them with the appropriate recognition they deserve. Kenworth Legends Lunch, April 4, 12.30-1.30pm.